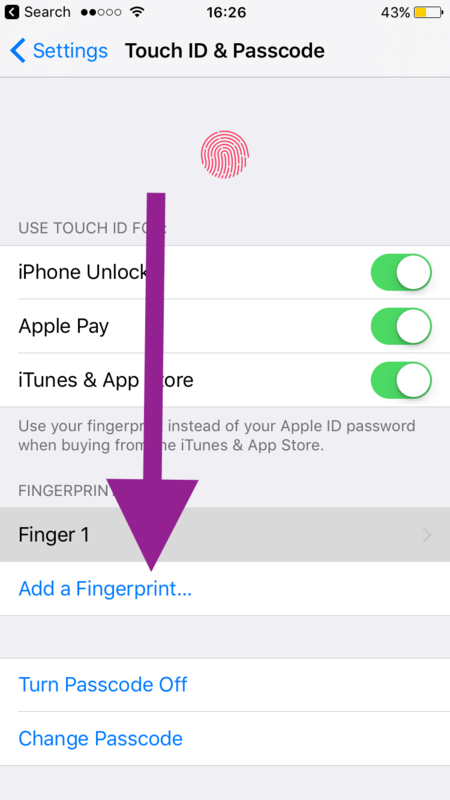 This article explains what to do when Touch ID is not working. Touch ID, Apple’s fingerprint recognition sensor, can be used with an an iPhone 5s or later (e.g., iPhone 6 or iPhone 7), iPad Pro, iPad Air 2, or iPad mini 3 or later. 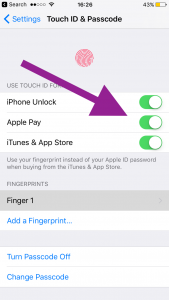 Touch ID can be used for (a) unlocking your iOS device (b) making purchases (c) making Apple Pay purchases. Touch ID is a incredible convenient feature and a lot more secure type of authentication. 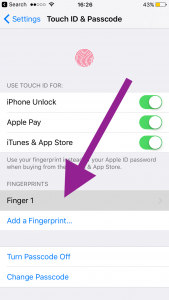 Are your having issues with Touch ID? 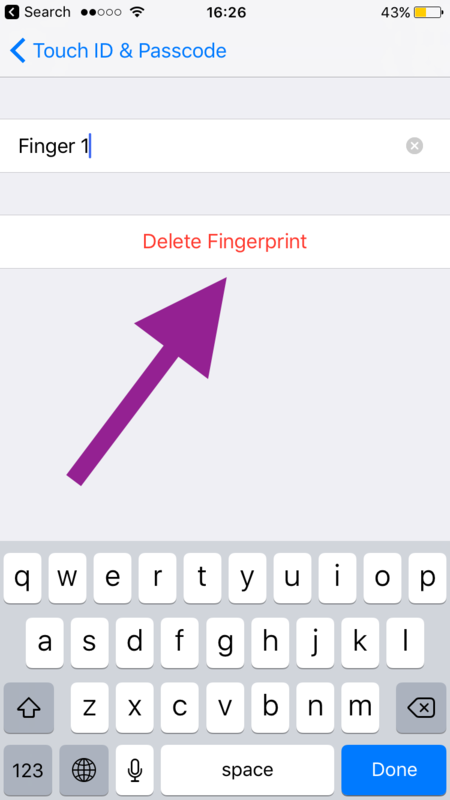 Did Touch ID stop working? 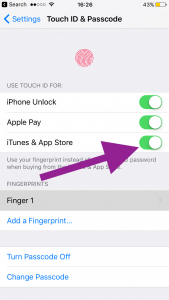 For instance some our readers stated that Touch ID sometimes fails to work in the App Store. Sometimes you may experience problems after an iOS update. Or Is it not working as expected at all? 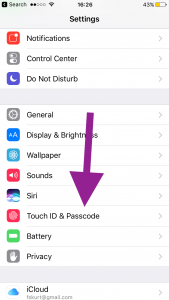 Please note that you may have to enter your passcode, Touch ID will not work, this is by design, for instance, if your device is turned off (e.g., your device will shut down by itself just before the battery is completely depleted), you will be asked to enter your passcode when you restart as your device will say “Touch ID requires your passcode when iPhone (or iPad) restarts”. Apple does not offer the ability to use Touch ID when the phone or iPad restarts. 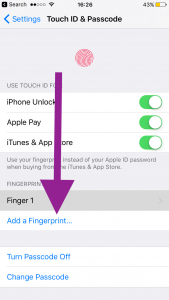 Try These Tips When Touch iD Now Working? Firs thing is that make sure that your iPhone or iPad has the latest version of iOS. You can easily update your device by going to Settings > General > Software Update. 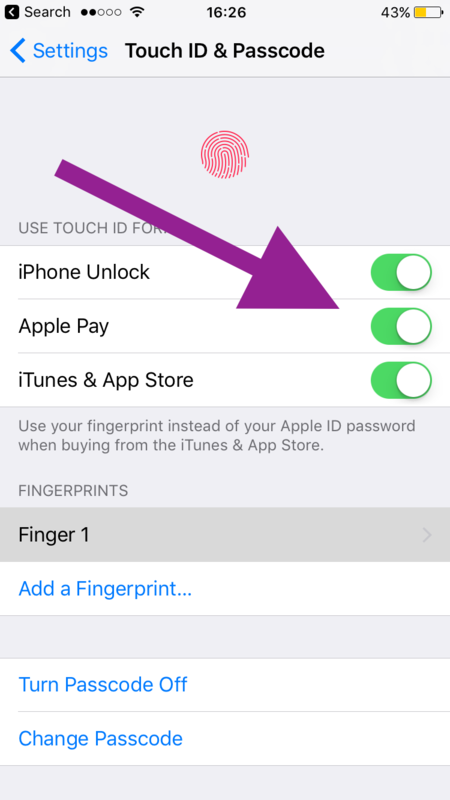 Then turn off iPhone Unlock, Apple Pay and iTunes & App Store (under the Use Touch ID For section) and then exit out of Settings. Now to go Settings > Touch ID & Passcode and turn on iPhone Unlock, Apple Pay and iTunes & App Store. You may want to clean the Touch ID Home Button. Make sure that it is clean. If it is not, wipe off any dirt. Also make sure that the Home button is dry as Touch ID is not working properly when it is not dry. When you done tap Add a Fingerprint and complete the steps to reenroll Touch ID. Now restart your device by pressing and holding the on/off (sleep/wake) button until you see the red slider. Then slide the slider. Wait a few seconds and turn your device back on by pressing and holding the on/off button until you see the Apple logo. Now go to Settings > Touch ID & Passcode and turn on iTunes & App Store. Now try to buy something from the App Store. Apple bought a biometrics company called AuthenTec, in 2012. Following this acquisition, Apple introduced Touch ID in 2013.